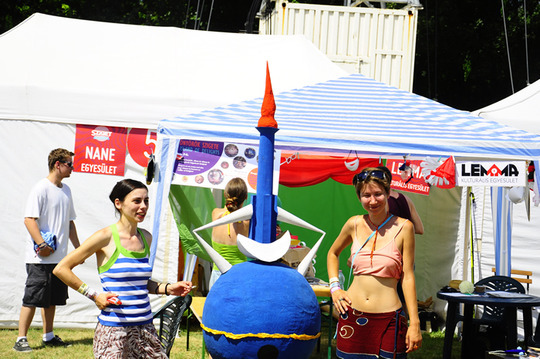 Help us to build the time capsule of the Sziget Festival 2014! 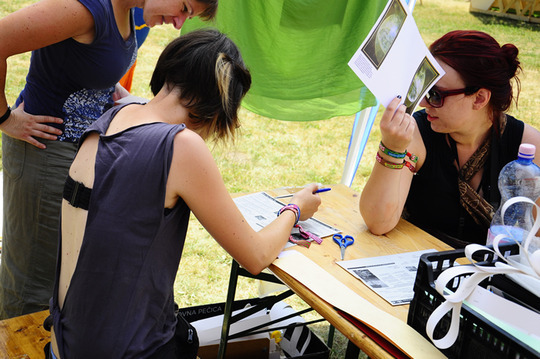 During the Sziget Festival in Budapest, Hungary, 15, 16 and 17 August, the group of multimedia artists Lemma will lead a participatory workshop in order to produce a time capsule. The time capsule, you know, is about collecting objects or information and to let them in a capsule for a given duration. After 10, 20, 100 or 1000 years, the capsule is opened, providing recipients with a testimony of the time which it originates. 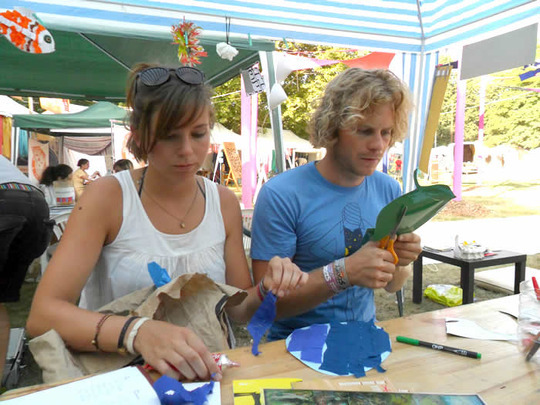 As part of this participatory project within the ephemeral Sziget Festival 2014, we will create the time capsule from the personal recollections of festival participants. Funny, historical, absurd, decisive, these memories will make up a sensitive portrait of the summer of 2014 and last decades. 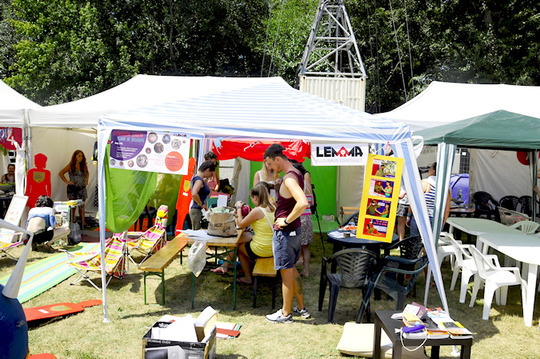 During these 3 days, from 11 AM to 7 PM, our team will welcome participants in the association area of ​​Sziget with thematic questions, games and objects to stimulate their memory.. Then the time comes to give a shape to the memory. From the most common to the most abstract form, we will provide multimedia resources to participants to help them make their memory. It may take the form of a simple narrative facing camera, a mime accompanied by a written text, a photo (edited or not), a drawing or collage, a story related to an object, a tune ... An important role will also be given to the use of recycled materials. 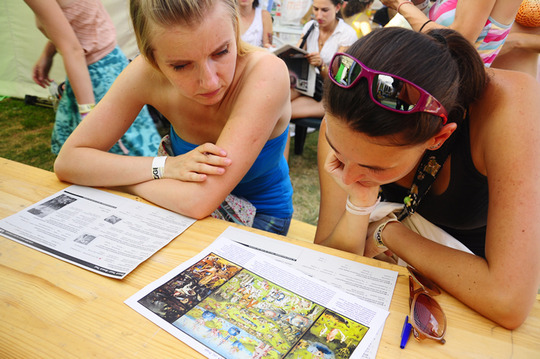 Multicultural context of Sziget festival, attended by a large number of people of different nationalities, is a rare opportunity to access a wealth of individual memories inserted in various historical contexts. 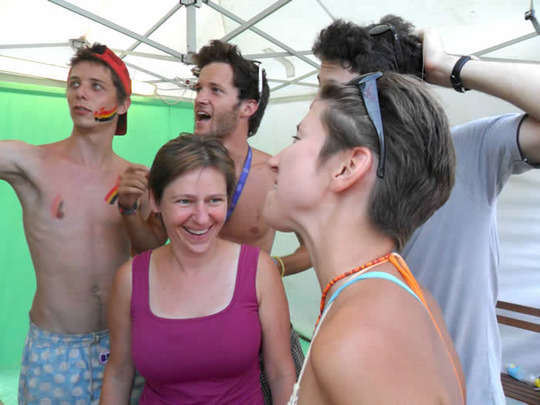 Within the Association Lemma, we speak English, French, Hungarian, German and few other languages ​​... so we can receive the word of participants. The final product is a digital time capsule that will take the form of a multimedia collection available on the internet. 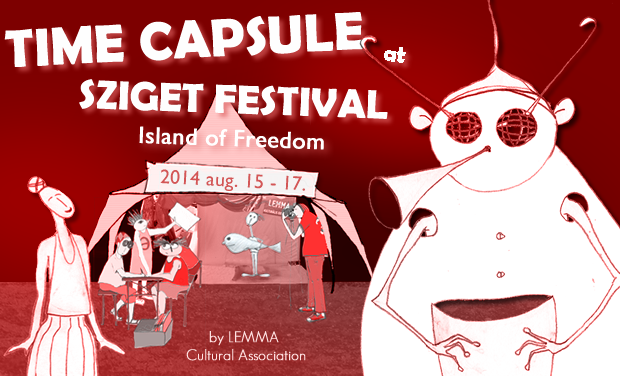 After a short trip in time, the capsule will be opened to the public on August 1, 2015. 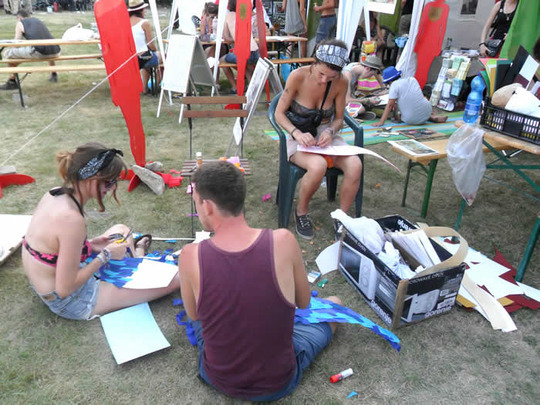 - Accessories for workshops: scissors, glue, markers etc..
Of the total of € 1,200 €, the Sziget festival has already funded 50% of the total ticket price (540 €). The 8 members of the association Lemma participate with an amount of € 160. Money raised via Kiss Kiss Bank Bank will be used to finance the remaining amount, ie almost all of the other half of the total ticket price (500 €). 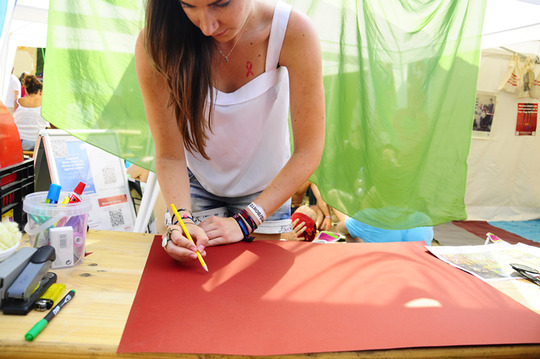 We will be hosting workshops for 3 days, from 11 AM to 7 PM, on a fully voluntary basis. The same for the post-production work (photo editing, video editing, design of the capsule and counterparties) to be shared among the members according to their various skills. Members of the association Lemma also bring their own video equipment, photo and audio (Camera Sony VX2000, 2 DSLR cameras, 1 mini-disc recorder, 1 tripod etc.). We also take care of transportation and food related costs for 3 days.